A couple of months ago I shared my DIY Summer Cell Phone Case for the Makeful Challenge and had so much fun getting creative. It was just the push that I needed to throw myself into making something! 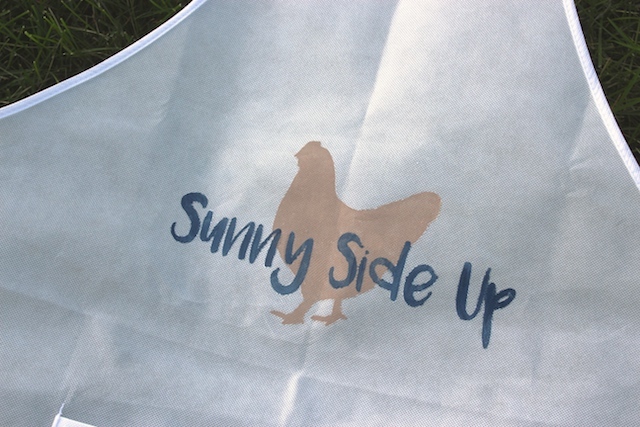 This time around it was aprons and I took some inspiration from our backyard chickens to put together this “Sunny Side Up” design. 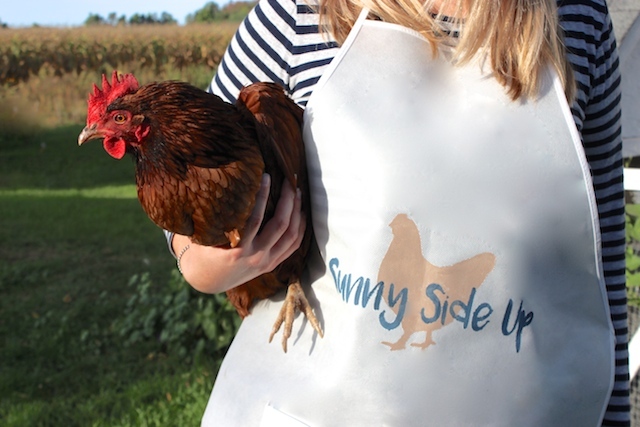 Our chickens are still laying three to four eggs every day. 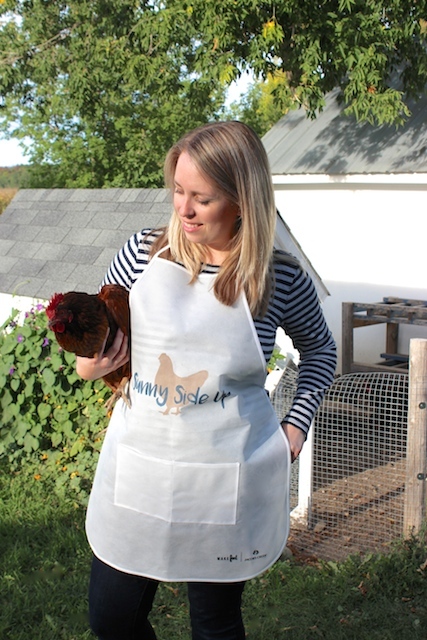 I’d been looking for a simple way to carry them back to the kitchen after I’ve collected them with a baby in my arms, and this apron fits the job perfectly! 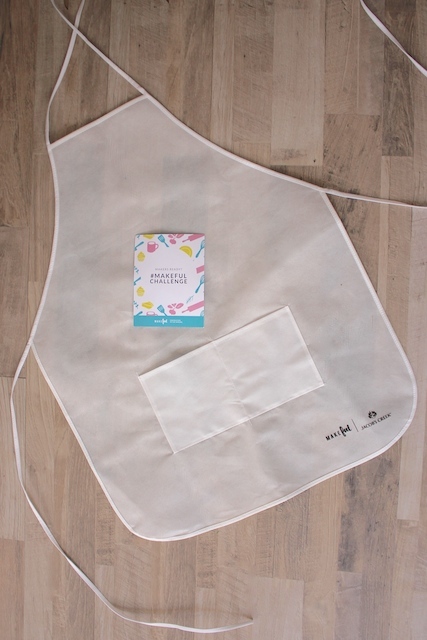 I was sent the apron by Makeful and Jacob’s Creek for this month’s Makeful Challenge. 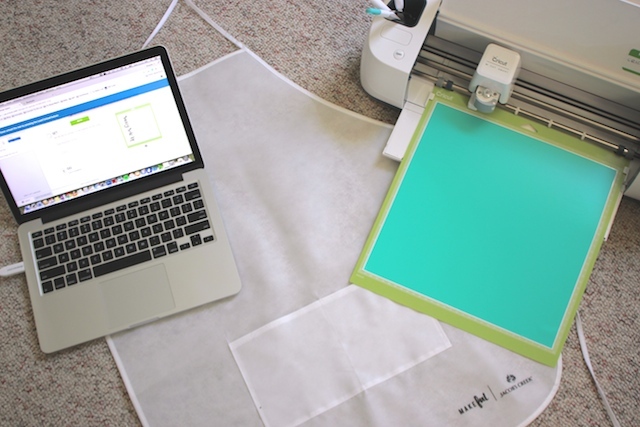 I received a Cricut electronic cutting machine while I was at the BlogPodium conference last weekend and I was just itching to find a project to test it out on. 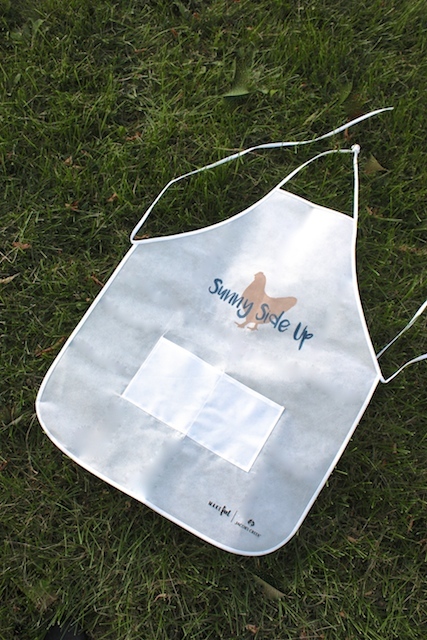 I decided to make a stencil using the vinyl and paint a design onto the apron. …then did two light coats in this pebble colour I had chosen. 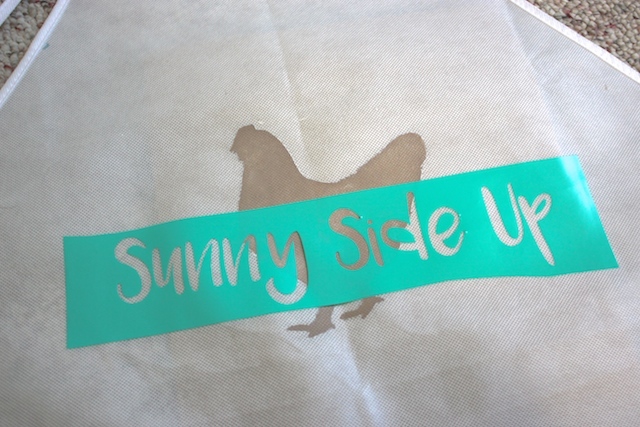 After the paint had fully dried, I added on the “Sunny Side Up” vinyl stencil I’d cut with the Cricut. 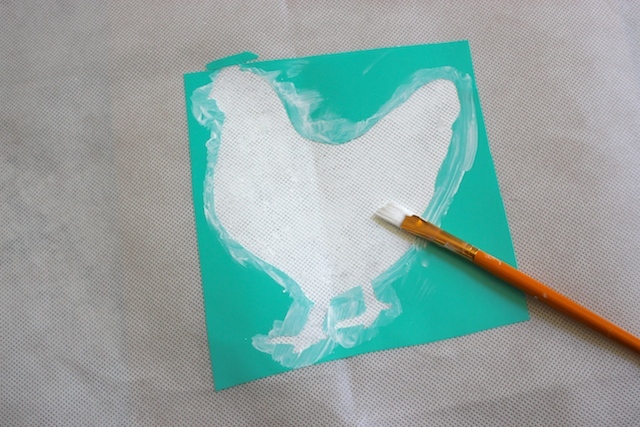 I used the same method as the chicken shape – giving a light coat in white paint on the apron area, and the pebble colour where the letter went over the chicken. Then I applied two light codes of navy paint. 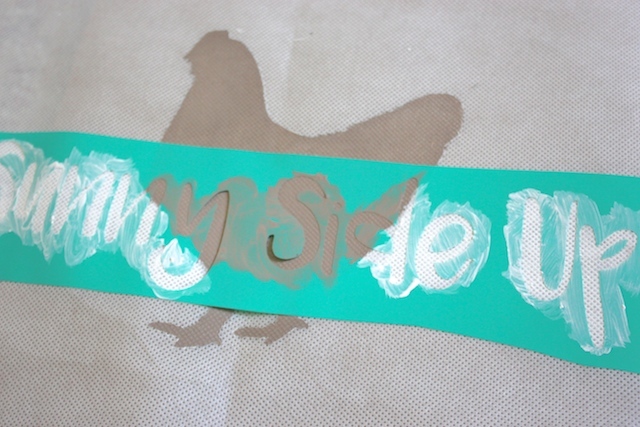 The vinyl didn’t stick very well onto the previously painted chicken, so I gently held down the vinyl as I painted over each section of the letters. 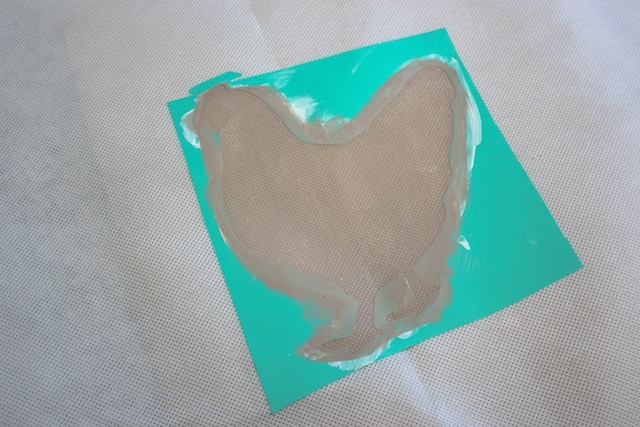 After it had dried, I pulled off the vinyl stencil to reveal the final image! 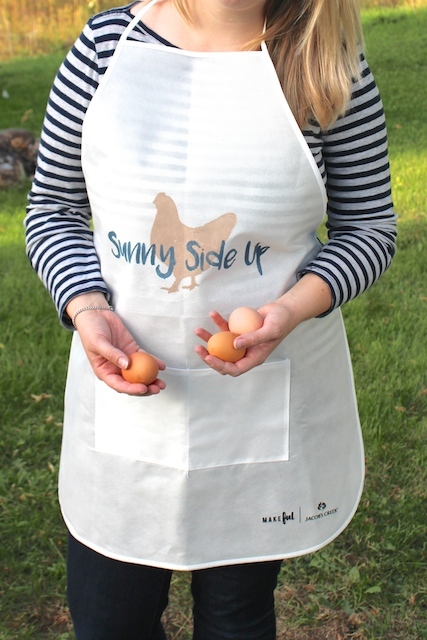 This apron is perfect for collecting the eggs in the morning. 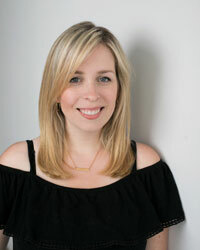 Thanks Makeful for hosting another fun challenge! It was a great first project to use my new Cricut machine and I can’t wait to use it on more crafts soon. So cute! I’m excited but a little scared to use my Cricut machine for the first time. You make it look easy! It’s really easy once you get going! Go for it! I can’t wait to try some more projects with it.